Testing and analysis methods for 428XL instrument clock frequency Jiang Fuhao,Li Zhiying,Zi Douhong and Cao Xiaowei. Application of 408UL LRU in complicated spread Tie Weipeng,Chen Caixia and Gong Yong. The impact of high hydraulic oil temperature to the AHV-Ⅳ vibroseis Huai Yongjun,Liu Xiaofeng,Zhang Ping and Xia Wei. Parameter setting and its application of eSQC-Pro data on-site quality control system Wang Shengli,Sang Huaifei,Guo Yanwei and An Chao. 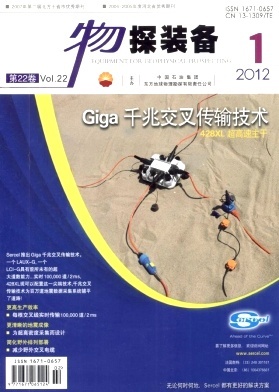 Solid streamer technology research and application in Offshore exploration Wang Ziqiu and Tang Jin.